Discuss your up and coming story - where you come from and how you got to where you are. 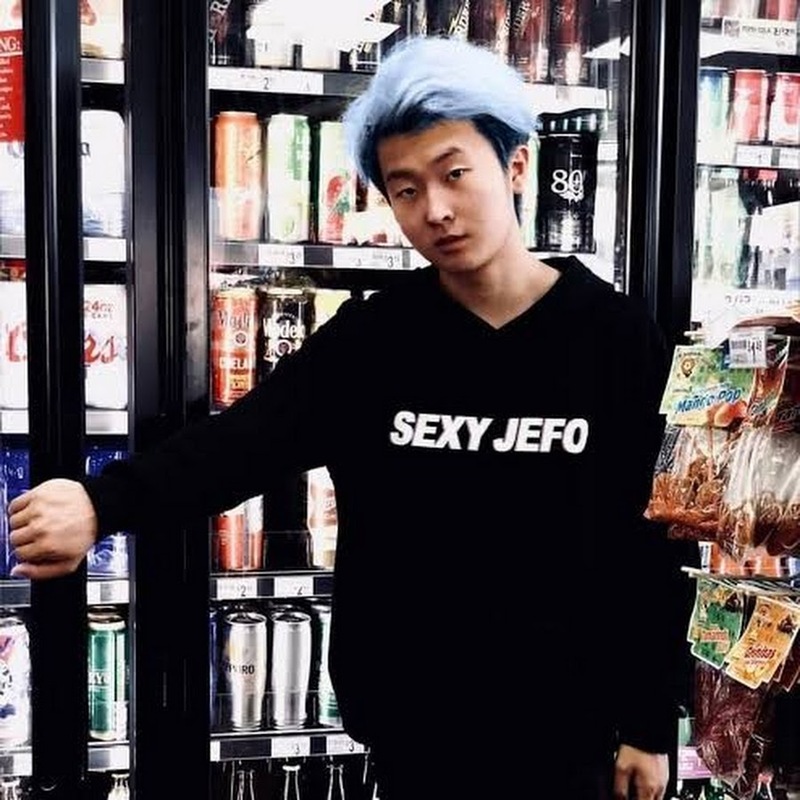 I’m Jun Yang, but most people know me as Jefo on social media. I’m an ordinary 20-year-old Asian kid. However, I’m proud to say that I’m also a successful social media influencer and internet comedian. But, it hasn’t been easy earning this status. Just a few months ago, I was homeless and living on the streets. Hardly anyone knew my name. I dropped out of college when I was younger because it just wasn’t for me. My heart has always been in making people laugh and connecting people through comedy. So, I left university and began posting videos on social media. I discovered that I actually had quite a knack for it. I started with a very small following, but that didn’t hold be back. Unfortunately, though, my family didn’t support my plan. That’s when I decided to move to Los Angeles to further pursue my dreams. I was homeless when I arrived in LA. But I knew how short life was and I wanted to succeed. I knew there was no way to do that without trying my hardest. It’s crazy to think that I was couch surfing at the homes of complete strangers just 3-4 months ago. I told myself that I was either going to make it and take over the world or I was going to fail and go back home labeled a loser. I didn’t want the latter to happen, so I refused to give up. I silenced my doubts and did whatever crazy stuff I needed to do in order to find success. I haven’t done it completely alone, though. Since moving, I’ve partnered with Syft, a Los Angeles based influencer management agency. They’ve helped me score some awesome collaborations with Youtube stars like Josh Paler Lin and Emily Ghoul. I’ve also worked with brands like Monster Products and a popular dating app called EastMeetsWest. My early videos struck up a trend that continues to grow more and more massive by the day. I didn’t really know many people and I didn’t have any props or fancy tools when I was first starting out. So, I just hit up the streets and interacted with people. That’s what started the viral trend of “public challenges”. Now my videos pick up a crazy number of views. They average between 5-6 million a piece. You can look at some of them on Instagram if you want an idea of my style. I’m very proud of the numbers I have achieved. But, many people don’t realize just how huge they are. So, I like to compare them to the performance of videos posted by big names like 50cent and Mike Tyson. Their last five videos averaged 1-2 million views each. Since starting about six months ago, I have earned myself 2.4 million followers on Instagram. That’s about 400,000 to 500,000 new followers each month. I also have about 650,000 YouTube subscribers that I’ve been working on getting for the past 3 months. I’m happy to say these numbers are constantly climbing. If you ask me how I got my inspiration, it’s just part of my personality. I’m originally from Sydney, Australia. Back home, I was always the funny and weird kid in school. Regardless, I never would have dreamt of having a career in the entertainment industry. But, the internet presented a huge opportunity for me. No one liked me in school because I was always putting myself out there and being true to myself. So, I decided to let my personality loose on the internet instead. Suddenly I was getting millions of views and hundreds of thousands of people around the world were supporting me. That’s what inspired me to fly to LA. I’ve since been met with a whole new world filled with great people and new adventures. It’s been tough, but I don’t regret a second of it. Now, I’m continuing to create more viral videos. I really like the public challenge format. Some of my favorites have been “touch my body” which later inspired “touch my potato” and other silly concepts. These are videos that have been watched well over 100,000,000 times. The younger generation especially can really appreciate my interactive form of comedy. Since I started posting, plenty of people have taken the public challenge concept. It’s now a wave spreading across the internet and reaching all around the world. I remain the original, though. If you ask me where I’m going from here, I want to take over the world. I want to be the first to bridge China’s giant, but separate, network of social media to the rest of the world’s platforms. China blocks Facebook and Instagram and YouTube. But, their own networks are even bigger than the United States. I want to be the bridge that finally connects the two. I truly believe I can do it too because I can speak both Chinese and English. I truly understand the cultural appreciation of internet. So, I’m hoping to make my mark by being the first to introduce East to West through comedy.